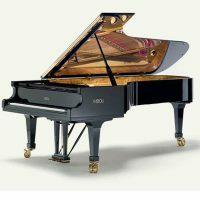 Fazioli pianos are considered to be the finest pianos available in the world today by a growing number of professional pianists. 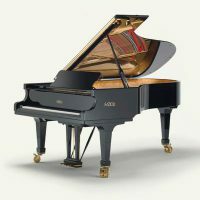 Fazioli builds around 140 pianos a year, each piano taking approximately three years and 1000 hours of specialized hand-crafted work to complete. The red spruce soundboard comes from the same trees in northern Italy’s ‘Val di Fiemme’ forest where Antonio Stradivari carved wood for his famous violins. 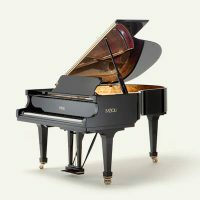 Jazz legend Herbie Hancock and Angela Hewitt, the world’s leading interpreter of Bach music are among the ever increasing number of renowned pianists who are choosing the Fazioli piano for concert halls, music conservatories and recording studios worldwide. 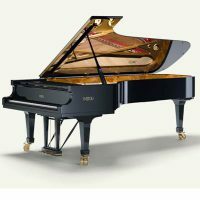 Fazioli pianos are considered to be the finest pianos available in the world today by a growing number of professional pianists. Fazioli builds around 150 pianos a year, each piano taking approximately three years and 1000 hours of specialized hand-crafted work to complete. The red spruce soundboard that comes from the same trees in northern Italy’s ‘Val di Fiemme’ forest where Antonio Stradivari carved wood for his famous violins. 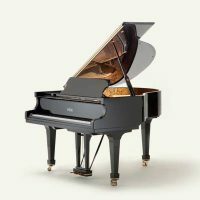 Jazz legend Herbie Hancock and Angela Hewitt, the world’s leading interpreter of Bach music are among the ever increasing number of renowned pianists who are choosing the Fazioli piano for concert halls, music conservatories and recording studios worldwide. 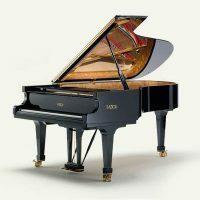 Browse our collection of Fazioli pianos to find the perfect fit for your performance needs.